Do you know that hypertension (HPT) may occur in children and teenagers? Teenagers are young people aged between 13 to 19 years old. Although it is more common in adults, the number of children and teenagers suffering from this illness is increasing. It can increase the risk of early heart disease and stroke during adulthood. How To Measure Blood Pressure In Teenagers? Blood pressure is defined by measurements of systolic and diastolic blood pressure which depends on the heart contraction and relaxation. BP should be measured in a sitting position and in a quiet environment. An appropriate-size cuff should be used to ensure the correct measurement. 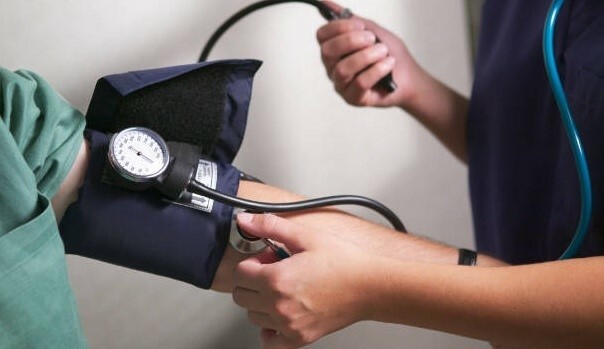 Do Teenagers’ Have Similar Blood Pressure As Adults? Blood pressure in adults differ from children and teenagers. In children, the normal range for blood pressure is determined by the child’s gender, age, and height. The normal range is expressed as a percentile. What Is Normal Or Abnormal Blood Pressure In Teenagers? Normal BP: Both systolic and diastolic blood pressure <90thpercentile. Pre-hypertension: Systolic and/or diastolic blood pressure ?90thpercentile but <95th percentile Or blood pressure exceeds 120/80 mmHg (even if <90th percentile for age, gender, and height). Hypertension: Either systolic and/or diastolic blood pressure ?95thpercentile measured on three or more separate occasions. Stage 1: Systolic and/or diastolic blood pressure between the 95th percentile and 5 mmHg above the 99th percentile. Stage 2: Systolic and/or diastolic blood pressure ?99th percentile plus 5 mmHg. How Is The Diagnosis Of Hypertension Made In Teenagers? The Diagnosis of hypertension is made when the blood pressure is at or greater than the 95th percentile on three separate measurements, which are separated by days or weeks. What Causes Hypertension In Teenagers? Hypertension in teenagers can be due to primary or secondary causes. Primary or essential hypertension is the most common cause for HPT in teenagers. It has no identifiable cause. They usually have completed puberty, have family member with hypertension, overweight and have only mild hypertension. Secondary causes of hypertension in teenagers include kidney diseases, excessive and abnormal hormone secretion, heart disease and certain medications. It is more likely in younger children less than 10 years old. How To Manage Hypertension In Teenagers? Treat the underlying cause of hypertension if identified. If no cause is identified (primary hypertension), it is recommended to bring down blood pressure to normal. What Is The Treatment To Reduce The Blood Pressure? Treatments for hypertension in teenagers include lifestyle changes with and without medications. They are advised to lose weight, exercise regularly, reduce salt intake, avoid alcohol and stop smoking. When Should Medications For Hypertension Be Started? The teenager has symptoms associated with high blood pressure eg headache and seizure. Stage 2 hypertension, blood pressure levels that are 5 mmHg greater than the 99th percentile. Stage 1 hypertension that persists after four to six months of lifestyle changes. Hypertension with heart and kidney complications. If the teenagers also have other condition that may increase the risk for heart disease such as DM and high cholesterol. Are The Medications To Treat Hypertension In Teenagers Similar As In Adult? Medications to reduce blood pressure are similar as in adult. There are many types of medication being used. The doctor/pharmacist will discuss with the patients on the dosage, timing and side – effects of the medications. How To Monitor Blood Pressure In Teenagers With Hypertension? If hypertension is treated with lifestyles changes, blood pressure should be monitored every four to six months. Those with hypertension and on medications, they are monitored more often depending on the severity of their hypertension. What Is The Target Blood Pressure When Treating Hypertension In Teenagers? The target blood pressure for most children and teenagers with hypertension is less than the 95th percentile. If the teenagers have obesity, high cholesterol, diabetes, or have organ damage related to hypertension, the blood pressure goal is less than the 90th percentile. Chobanian, et al. The Seventh Report of the Joint National Committee on Prevention, Detection, Evaluation, and Treatment of High Blood Pressure: The JNC 7 Report. JAMA 2003; 289:2560. Lewington, S, et al. Age-specific relevance of usual blood pressure to vascular mortality: a meta-analysis of individual data for one million adults in 61 prospective studies. Lancet 2002; 360:1903. What are the risk-factors for primary hypertension in teenagers? What can cause secondary hypertension in teenagers? What are the lifestyle changes recommended in managing hypertension in teenagers?